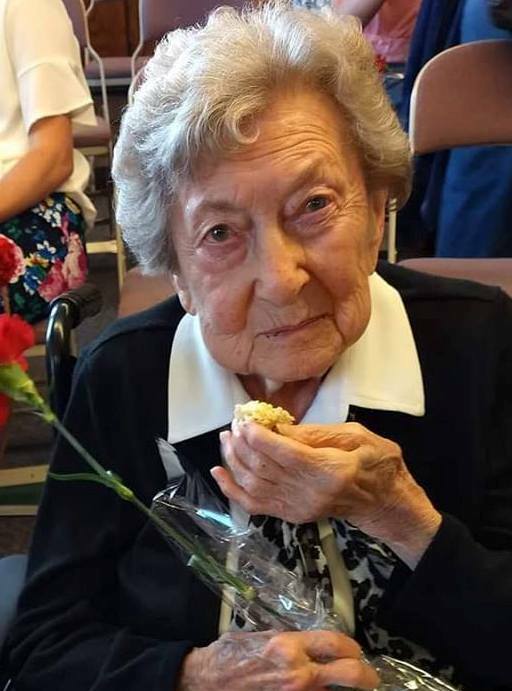 Patsy Bea McConkey, 88, of Ontario Oregon, passed away peacefully on January 30th, 2019 of natural causes. Patsy was born in Ontario Oregon on Nov 6th, 1930 to Floyd Magnus Christiansen and Nell Carmen Burdick. Patsy was a long time resident of Ontario. She enjoyed spending time at Sumpter, loved gardening and spending time with her family and friends. She was a lifelong member of the Church of Jesus Christ of Latter-day Saints. Patsy married Clifford Neil Wise and they had two children. This marriage ended in divorce. Patsy then met and married Donald Max McConkey. Together they had 5 children and was joined in the family by Max’s son, Michael Kelly McConkey. Patsy was preceded in death by her parents, a sister Hazel, a brother Richard and is survived by a sister Kay, children; Steven O’Neil Wise (Sue), Michael Kelly McConkey (Shirley), Jeffrey Alan Wise (Virginia), Anthony Charles McConkey (Ann), Deborah Lynn Wonka (Brian), Timothy Max McConkey, Andrew Joe McConkey (Wendy) and Amy McConkey Capps. She is also survived by 25 grandchildren, 39 great grandchildren and two great great grandchildren. Patsy’s family will hold a Celebration of Life on Saturday, May 25th, 2019 at 11:00am at the Fruitland Community Park at 505 SW 3rd Street, Fruitland Idaho. If you elect to stay for a Potluck lunch, please bring place settings for your group and a dish to share. Come join us for an afternoon of remembrance and sharing of stories. There's still time to send flowers to the Celebration of Life at the Fruitland Community Park at 11:00 AM on May 25, 2019.